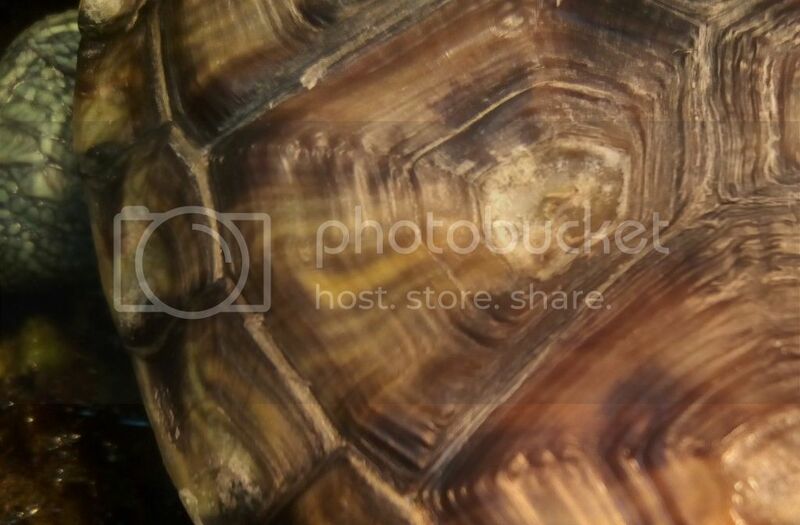 Redearslider.com :: View topic - Turtle shell - help! Urgent Care :: Turtle shell - help! Posted: Thu Dec 29, 2016 7:10 am Turtle shell - help! Posted: Fri Dec 30, 2016 2:58 am Re: Turtle shell - help! I mostly see some retained scutes, possible from overfeeding or irregular feedings. The white could be the start of some fungus, but I'd make sure you correct his diet first. Posted: Fri Dec 30, 2016 4:31 am Re: Turtle shell - help! steve wrote: I mostly see some retained scutes, possible from overfeeding or irregular feedings. The white could be the start of some fungus, but I'd make sure you correct his diet first. Thank you for your reply! Yes, I'm on it. I used to feed him every morning a portion as big as his head, but I'm changing it to every other day + greens. I think the problem is that he doesn't eat the adult food (for some reason he really hates it), only the baby one and the baby food is kinda higher on proteins. I'll keep an eye on him for a few days and if I see any change for the worse on his spots I'm gonna contact his herp vet. Posted: Fri Dec 30, 2016 5:14 pm Re: Turtle shell - help! Posted: Sat Dec 31, 2016 8:17 am Re: Turtle shell - help! Posted: Sat Dec 31, 2016 9:08 am Re: Turtle shell - help! No problem and welcome to the forum!